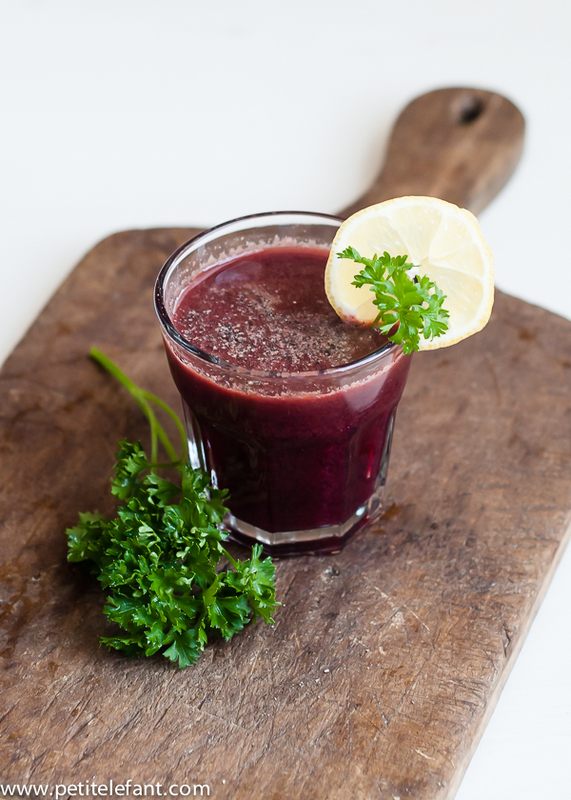 Have you jumped on the juicing wagon yet? I was immediately hooked when I bought my first juicer two years ago. I never cared much for the bottled stuff you find on store shelves. 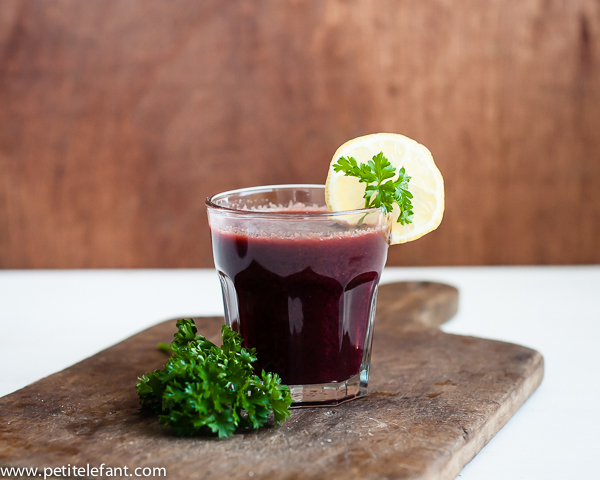 I was amazed at how much better fresh juice was – better than anything I’d ever tasted! Yes, I even did one of those crazy juice cleanses. 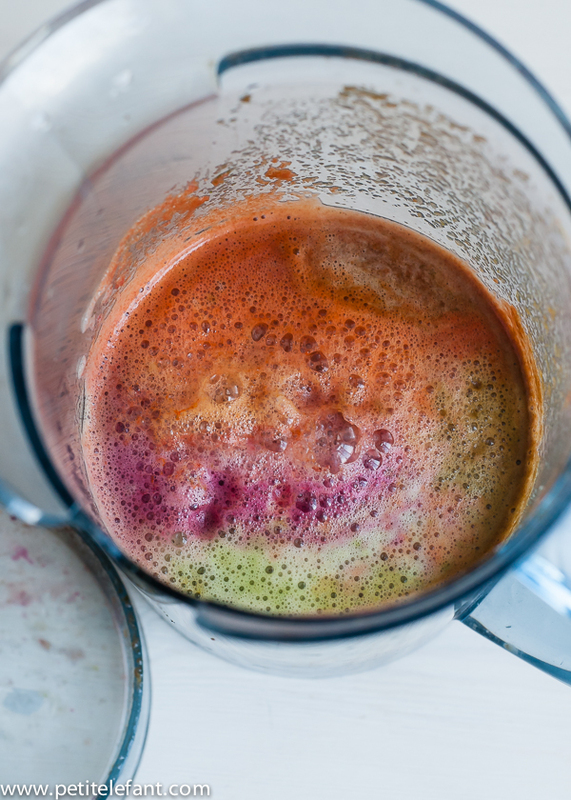 Making vegetable juice at home is so much better and healthier than buying it in a can or bottle. It’s made fresh, full of vitamins and nutrients. 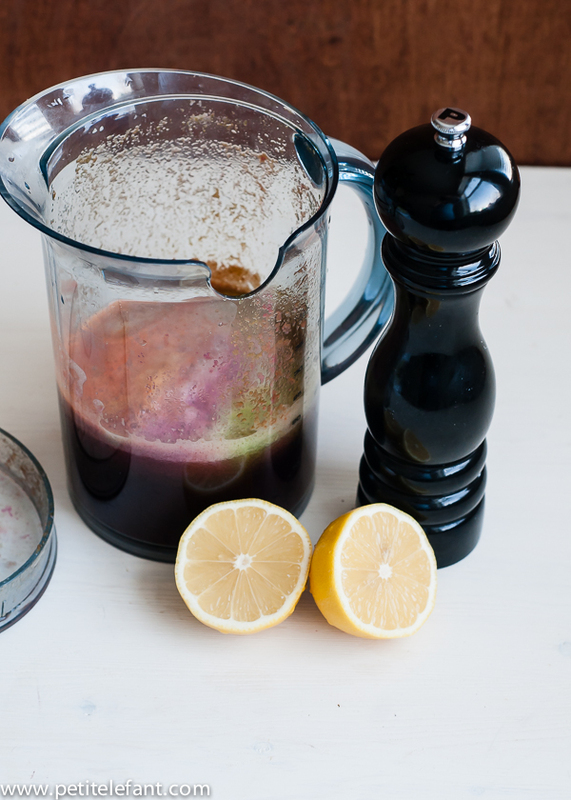 The canned and bottles juices are often nothing more than overly cooked vegetable concentrates. 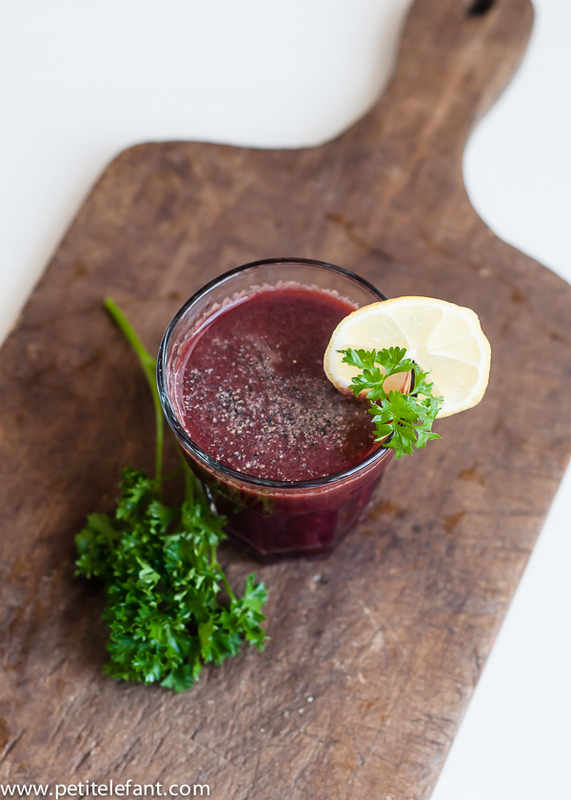 We have found a blend we really like made from tomatoes, beets, fennel, celery, carrots, cucumber, kale (or spinach), red pepper, a little onion, and a good dose of fresh lemon juice and coarsely ground black pepper. It would be a great base for a bloody mary, and is a fantastic afternoon pick-me-up. 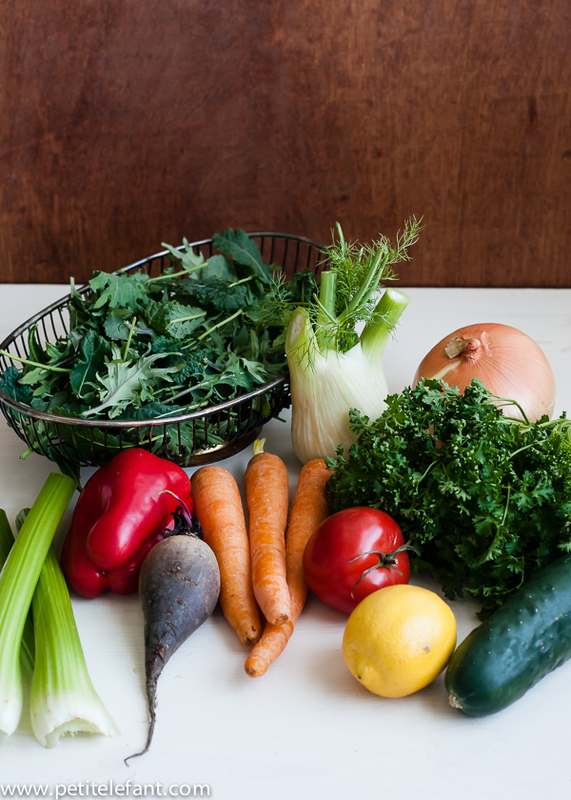 Of course, you can switch out different veggies for the ones you like best. Sometimes I want more tomato juice, so I’ll use two. Other times I like more cucumber. It just kind of depends. It’s seriously like summer in a glass. You’re going to love it! Cut the vegetables into smaller pieces, if needed, to fit through the feed hole of the juicer. Insert the vegetables one at a time through the feed hole, alternating the kale and parsley with the other vegetables. Stir in the fresh lemon juice and black pepper, to taste. Serve immediately, or chill.